On 19th June 2018, Viveve announced impressive results from a recent study on the Geneveve treatment for stress incontinence. Geneveve uses cryogen-cooled monopolar radiofrequency technology to warm the vaginal tissues and boost the body’s natural collagen and elastin which become damaged and weakened through childbirth and ageing. In this recent Canadian study, 36 women with stress incontinence were treated with Geneveve and followed up 6 months later. Results included: pad-weight testing (which measures urine leakage onto an absorbent sanitary pad), combined with patient completed symptom and quality of life questionnaires. 83% of women experienced a significant reduction in urinary leaks with similar improvement in symptoms and quality of life scores. For women affected by stress incontinence this can mean less worry about embarrassing leaks, reduced usage of sanitary pads, improved self-confidence, and the ability to get back to normal activities. And an added benefit… Geneveve has also been clinically proven to tighten the vaginal tissues and improve sexual function. Cosmetech, Maypole Clinic is the only clinic in Ireland offering the Geneveve treatment. 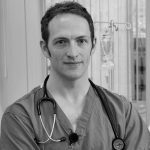 Dr Patrick Campbell from the Maypole Cosmetech Clinic, has been asked by Viveve to present the findings of this recent study at an international conference in Barcelona next month. To book a complimentary Geneveve consultation with Dr Campbell call 02890423200 or email frontdesk@cosmetech.co.uk.